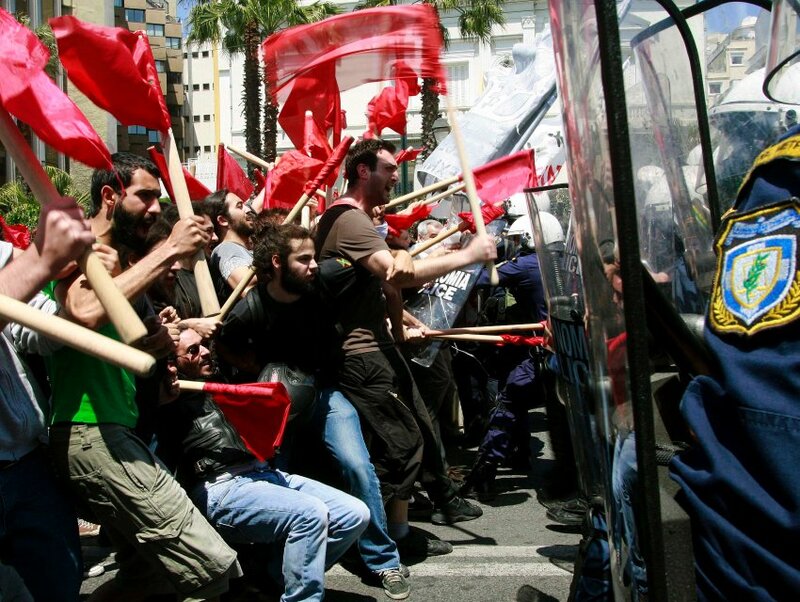 Austerity measures in Greece have set off violent riots and nationwide strikes over the last decade. 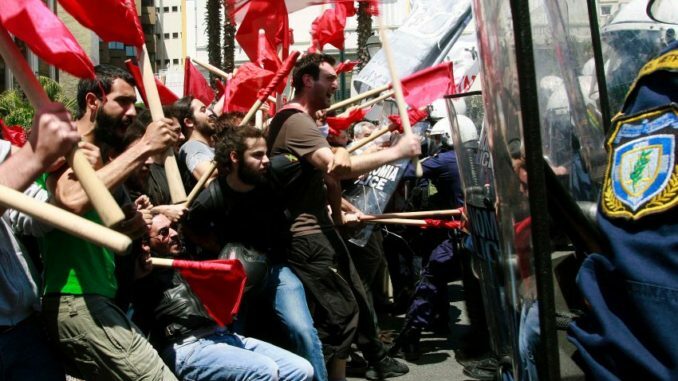 In 2010, Greece suffered a sovereign debt crisis, sometimes called the Greek Depression. A member of the European Union, Greece requested a bailout, which the EU granted, but only with a caveat: Greece would have to implement a number of austerity measures. Austerity measures in Greece took the form of a public employee pay freeze, pension cuts, elimination of early retirement, industry sector privatization timelines, and tax increases. These measures remain wildly unpopular in Greece. The EU saw these measures as necessary to bring the Greek economy in line with that of other member nations. You, too, can be like Greece and apply austerity measures to your own finances. You, too, can be wildly unpopular. First make a budget. Austerity measures must be calculated. Don’t create slush funds. Austerity hates slush. Calculate your every last expense. Then cut. Cut it all. Food and shelter — that’s it. No comfort. No nothing. Cut. That’s essentially what austerity measures mean. Austerity means going without comfort or luxury. Austerity requires a harsh life, one focused on self-discipline and abstention from any indulgence. Perhaps obviously, single people, living alone, may have better success applying austerity measures. Bread and water, work and shelter. No social life, a spartan lifestyle. No exceptions. Austere. If you do not live alone and you attempt to impose austerity measures, expect rioting in your household. Start, at least, by explaining everything up front. Spell out how you believe austerity would benefit your family. But part of that discussion should also be this: In the end, austerity measures may not prove to be enough to make a meaningful impact on your financial situation. And that means you will have had suffered all along for nothing. If all of this sounds horrible, it is. There’s a better way. Greece is now a Eurozone top performer. Economists project Greece to grow at a robust 2 percent this year. And Greece has repaid all but 9 billion euros of its original 289 billion debt from its bailouts. Austerity measures worked for Greece. Frugality, economy and common sense go a long way. If ongoing bills are your problem, you may be able to cut back and enforce a budget that will improve your financial outlook. If you can dig yourself out of debt without suffering too much then you should do it. But whether you consistently run paycheck to paycheck, or can’t seem to build any sort of savings cushion, or you’re simply irretrievably overextended, austerity measures may not be enough. If too much of your income is dedicated to servicing debt, then you should consider bankruptcy. Lee Legal will help you make the best decision based on your circumstances. Brian V. Lee provides bankruptcy, foreclosure defense, business turnaround, and litigation services to clients in the District of Columbia, Virginia, and Maryland. Brian was the Washington, D.C. state chair of the National Association of Consumer Bankruptcy Attorneys from 2016 to 2018. The law changes rapidly, differs from jurisdiction to jurisdiction, and is subject to varying interpretations by different courts and administrative bodies. Lee Legal assumes no responsibility for the timeliness or accuracy of the legal information provided herein. Consult a lawyer - not a website - if you have a legal issue. Copyright © 2008-2019 Lee Legal. All rights reserved. We are a debt relief agency. We help people file for relief under the Bankruptcy Code. Lee Legal serves the jurisdictions of Virginia, Maryland, and Washington, D.C., including Arlington, Alexandria, Fairfax and Fairfax County, Loudoun, Prince William County, Falls Church, Manassas, Prince George's County, Montgomery County, and the District of Columbia.